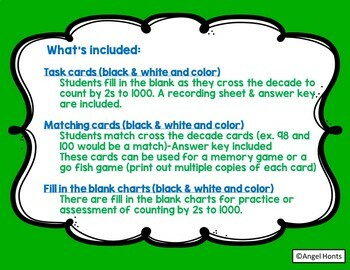 This product includes several activities for students to practice counting by 2s by crossing the decade to 1000. 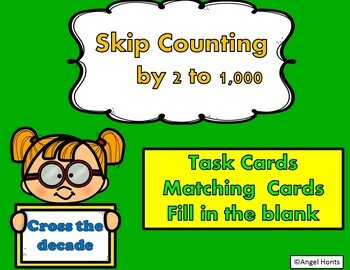 Crossing the decade includes fluently counting from 198 to 200, 298 to 300, 398 to 400, 498 to 500 etc. 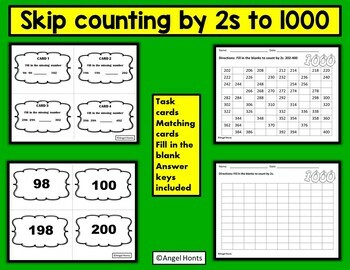 to help understand mathematical patterns. By leaving me feedback you can earn points towards your future TpT purchases. Please FOLLOW ME CLICK HERE and be notified when new products are uploaded.